Municipalities calculate property tax rates based on the services that they need to fund and how much those services cost to provide. Local governments use this information to determine the tax percentage rate for the area. That percentage, also known as the mill rate, is then applied to the assessed value of the property. As a South Carolina homeowner, you're lucky. You have a relatively low property tax rate compared to people who own similar homes in other states. What is the property tax rate in South Carolina? 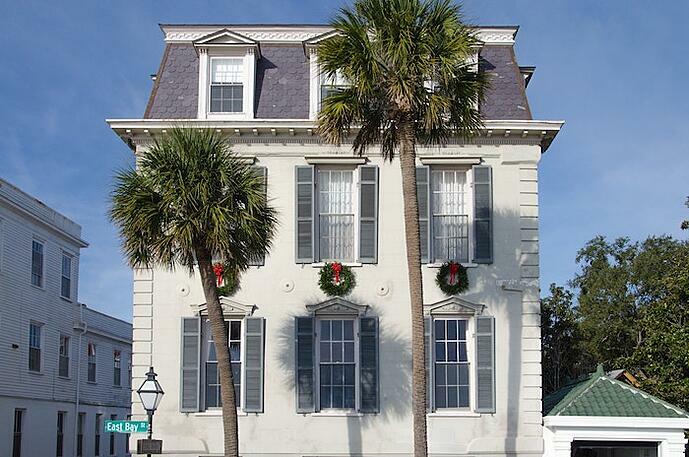 In South Carolina, property tax rates can range from below 0.4 percent to above 0.8 percent. That translates to a significant difference in actual tax payments. A hypothetical $200,000 home in a county with an 0.42 percent property tax rate would pay $840 that year. Meanwhile, someone in a county with an 0.72 property tax with a similarly valued home would pay $1,440. Now let's look at the high and low ends of the property tax scale. Each county takes certain state requirements into consideration when they calculate their property tax rates, such as the lower taxation of residential versus commercial properties. (More on that later.) Even though South Carolina property taxes are consistently low relative to the national average, some counties impose higher taxes so that they can offer more in-depth services. Let’s get even more specific and look at how much you'll pay as an individual property owner. To determine how much you will have to pay in property taxes, you need to know the millage rate for your county and municipality, as well as your home's assessed value. If you've owned your home for long enough that you've already paid property tax at least once, you can figure out the value by looking at your last tax bill. Divide your total paid by the local tax rate and you'll get an assessed value. Be aware, though – if you've done any major renovations or additions since then, your property value will probably be higher this year. If you don't have an old property tax bill, you can contact your county tax assessor's office and ask for your home's most recent assessed value. The South Carolina Association of Counties publishes a breakdown of millage (property tax) rates for each county, school district, and municipality. It also lists any other charges or millage rates that might apply to a particular location and walks you through how to calculate your individual rate. Basically, you'll be multiplying the assessed value of your home by the total millage rate. South Carolina applies property tax rates differently based on whether a property is owner-occupied or not and whether it is residential, commercial, or agricultural. The Association of Counties makes this calculation separately from the millage rate. If you're using this particular model and you have an owner-occupied home, you'll multiply your appraised value by 4 percent before you consider millage rates. Yes. SmartAsset has a property tax calculator that you can use for any US home location. You'll still need to know your assessed home value as well as your ZIP code. Also, some counties including Charleston have their own district-specific estimators. Check your county government's website to find out if yours offers this tool. When you search for “property tax in South Carolina," you find that the state has been ranked as the sixth most affordable in terms of property tax. South Carolina's state government has worked hard to make sure that its homeowners don't bear the burden of funding state operations. Owner-occupied homes are completely exempt from school taxes, which usually make up the largest part of a home's property tax responsibilities. South Carolina makes up for this gap by imposing school taxes on rental properties and increasing other taxes. For one, South Carolina charges higher vehicle taxes than 47 of the other 49 US states. Sales taxes statewide are also on the high end, largely because counties need the money to fund schools. If you live in South Carolina and can't afford your property tax, it might be small comfort to know that other states have higher rates. What do you do? Nonpayment of taxes isn't a good plan. Your taxing authority could sell your home and force you out, or your mortgage lender could pay the taxes on your behalf and then foreclose if you can't pay them back. Technically you could sell your home to release yourself from the tax burden, but then you'd still have to move, right? EasyKnock has developed a program that lets you sell your home while continuing to live there. It's called Sell and Stay, and it lets you stay in place as a tenant, according to your leaseback agreement. If you decide to buy your home back, you pay the amount that Sell and Stay paid you plus 5 percent. If you want to move instead, EasyKnock will sell your home, and you will get the remaining equity. Imagine staying in the home you love but not having to pay property taxes. It's possible through EasyKnock. Contact us today and find out how to get started.